The Internet of Things is already having a significant impact on the creation of new products and services across a number of verticals. But to generate new revenue from IoT, companies need to transform the information from smart, connected products into services by offering the entire product as-a-service, as-you-consume, or using the product’s data stream to engage customers with additional services. The true IoT business opportunity is huge. Believe it or not, the physical world is talking to us. We are just now beginning to listen. We listen to the physical world through sensors. When we apply a proximity sensor to a car, the car can “talk to us” and tell us what is nearby. When we add structural monitoring sensors to a bridge, the bridge can “talk to us” and tell us that there is strain in certain parts of the bridge. When we attach an accelerometer sensor to our body, we are able to track our movement. Generally speaking there are two classes of IoT in business. 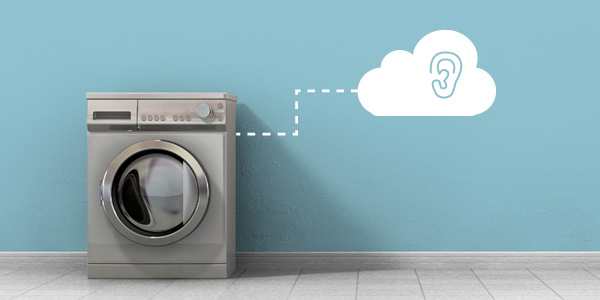 The traditional Internet of Things is generally considered to apply to the consumer market. The Industrial Internet of Things is generally considered to apply to the business and industrial market. Both have equal potential. And this is the exciting part of IoT—that it is not limited to a small group of geniuses; IoT can be applied to all physical objects. Beyond the obvious IoT solutions like the Fitbit and home monitoring systems that are already part of our everyday life, people everywhere are experimenting with new ways to improve our world. Some of the most valuable innovations are taking every day things and helping them to talk, communicate and make smart decisions. For example, I love the intelligent thermostat. By taking something that has been in place for decades and adding some intelligence, whole new business models have been created. Whole new revenue streams… and we’re just getting started! At the heart of any Internet of Things business system are three things: events, usage and data. The granular nature of IoT creates opportunity for new monetization models around “usage” of an IoT enabled object and other innovative pricing models. The most profitable one we are seeing is a combination of subscription and usage pricing. In this model, a company wraps a catalog of services around an IoT enabled device. They will bundle some of the services into the base subscription model and then in addition to that, charge “pay as you consume” for other services based on events, usage and data. The exciting opportunity about usage billing is you can leverage real time information to create very dynamic pricing to maximize your revenue. Uber has really showed us how to do this as they dynamically change pricing as demand goes up. When you sell something as a one time charge or even just as a straight subscription, you are potentially missing out on additional revenue streams. With more granular information, the possibilities for revenue capture become boundless. This is the opportunity for monetization of IoT. With opportunity, come challenges. While the technology exists for IoT enablement from a physical object perspective, not all “traditional IT systems” are able to handle this granular level of monetization. It’s important that as you look to maximize your revenue, you also seek out the right financial systems that can handle “real time usage based pricing”. We are seeing companies leverage the capability to interact with the physical world by creating unique monetization models based on existing products and business strategies. For example, look at the modern “Connected Car”. With cars today you can now have upgrades pushed to the car overnight (Tesla charging for better performance), tracking of vehicles for driving style (insurance, rentals/surcharges for abuse, fleet management/cost allocation), as well as additional subscription-based services (streaming music, OnStar concierge service, Emergency response, etc.). While many implications are still a hybrid of IoT data and traditional data, increasingly integrated systems and the ability to pull external usage data into an agile IoT monetization model will be crucial for companies moving forward in this 4th Industrial Revolution. Monetization of IoT services will have big implications for the finance department. My colleague, Mike Murphy and I recently presented a webinar at Proformative to help companies, specifically the finance office, prepare for the coming opportunity IoT presents. In the presentation, we review implications for revenue including the impacts on contracts, invoicing, and timing as well as understanding the different sources of data or triggers impacting revenue. Finance must be prepared to capture, measure and plan for incoming revenue streams. To learn more about how to prepare your organization for a changing business model, the webinar recording can be viewed at Proformative: Internet of Things: How Finance Should Embrace the Coming Flood to Drive Top-Line Revenue Growth.